come over to my new page Mike, Marty’s Magic Uke and say hi. 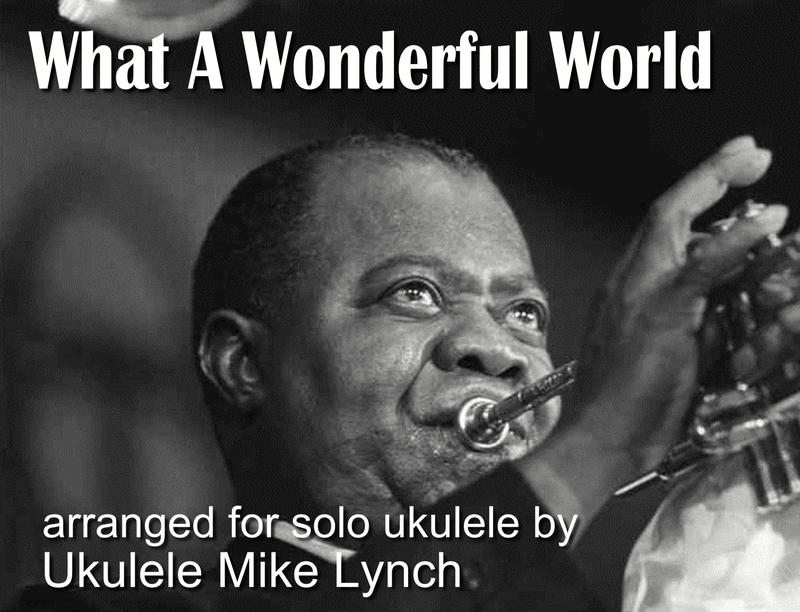 “What a Wonderful World” is a song written by Bob Thiele (as “George Douglas”) and George David Weiss. It was first recorded by Louis Armstrong and released as a single in 1967. Thiele and Weiss were both prominent in the music world (Thiele as a producer and Weiss as a composer/performer). Armstrong’s recording was inducted in the Grammy Hall of Fame in 1999. The publishing for this song is controlled by Memory Lane Music Group, Carlin Music Corp., and Bug Music, Inc. Thank you Mike for your tunes and tuition. Please have a peek at my new uke page. You’re welcome to post there anytime.